This evening after work, I went shopping for groceries. 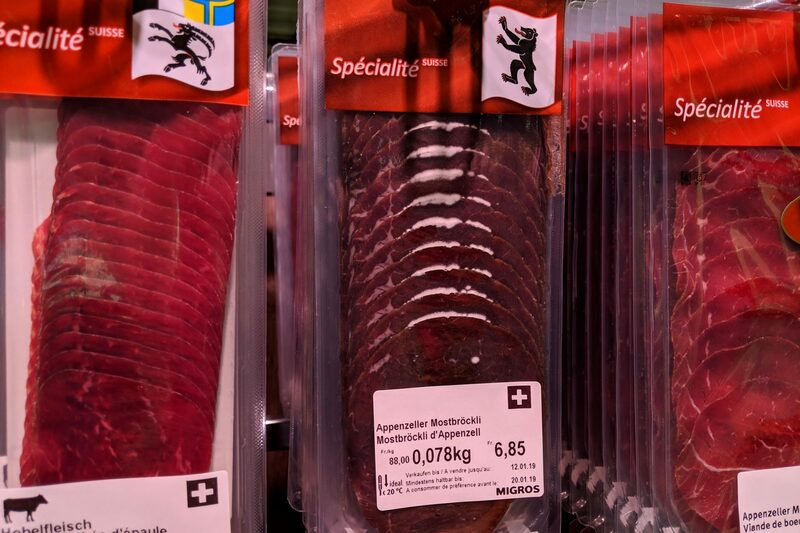 In the dry meat department I found something suspicious… Molds (Schimmelpilze) inside a package of dry meat! Awful! Place & time: Migros City, Zurich on December 19, @ 7:45 p.m.
… und öberall heds Pilzli draa!! !